Construction Management Group, LLC is a full-service commercial and residential construction firm that applies effective management techniques to the planning and construction of projects, from inception to completion, for the purpose of controlling quality, time and cost, while providing total fiduciary care. With innovative and energy efficient homes in mind, we are constantly finding ways to build homes that are cost effective and fit into your lifestyle. RG Building and Development is a firm with vast capabilities that cover all aspects of real estate building and development. It was founded, and is still run by, the husband and wife team of Ronit Glantz and Bryan Robik. RG provides both its investment partners and its customers with expertise to bring projects both large and small to reality. Supreme Industries Building Division has experience building custom homes, barns & sheds of all different styles and sizes. Based in Burlington CT we offer services in Litchfield & Hartford counties. Whether you bring complete house plans to us or bring just an idea, we can build the custom home that you have been dreaming of. Over the years we have built hundreds of homes for as many proud and satisfied customers. All of our homes are custom built to reflect the styles, tastes and character of our customers. Our reputation for quality, integrity and honesty is firmly recognized in the Greater Hartford Area. We work hard to ensure that every house we build is of the highest standard possible. Many decades ago, customers and realtors began attaching the phrase 'Ansaldi-Built' to homes that were built by Ansaldi. When a house was advertised as 'Ansaldi-Built' it was understood that the home contains the utmost in quality and workmanship. We remain committed to this philosophy and continue to deliver superior results to our customers. Stoneleaf is committed to maintaining the highest quality standard. We are high end custom home builders, general contractors & renovators serving the Dutchess, Westchester, & Litchfield Counties. At Caulfield & Ridgway, we strongly believe that building a new home, addition or renovation represents the most important investment a person will make, and the pleasure and ease of the building experience should be equal to that investment. Their belief is realized through a melding of superior communication with their clients, intelligent strategic planning of the project, a roster of extremely talented and responsible craftspeople and professionals, and a refined ease of handling the common challenges of the building process. Their clients’ enjoyment, satisfaction and pride result from continuously facilitating the success of everyone involved in the building experience. The multitude of loyal and long-lasting relationships developed with their clients prove the worth of the founders’ approach. Whether you are considering building a new home or renovating your existing one, Caulfield & Ridgway, Inc. would be pleased to meet with you and discuss your project. For over two decades, Artisans, Inc. has been providing high-quality construction services to recognized architects and discerning homeowners throughout Fairfield County, CT and Westchester County, NY. Artisans is dedicated to making homeowner dreams come true. 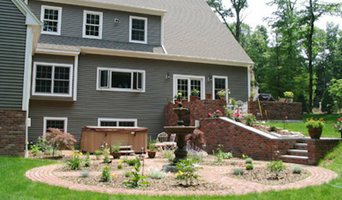 Valentine Builders is a family owned and operated, local home building and home remodeling company. 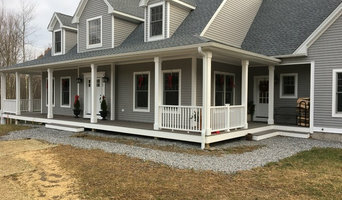 We have been beautifying Central Connecticut since 1968 and in our forty five years in business, we have built a reputation of quality, excellence, integrity & trust. We have been in business for many years and we will be in business for many more. I’m Russell Anderson, owner of Homestead Builders. I’m a fourth generation builder located in Bergen County, New Jersey. Since our inception we have completed innumerable projects both large and small, and in working with local architects and designers we bring to the table the good judgement, an understanding of modern lifestyles, and the critical eye and patience everyone appreciates. When it comes to something as important and personal as your own home, we are the ones you’ll want by your side. Talk to my customers…they’ll tell you. Brindisi & Yaroscak Custom Builders, an award winning builder, is committed to making the entire building process a pleasant and enjoyable experience. The building of a dream home is a very personal process from start to finish. We are crafting a home that will be the foundation in which your priceless memories and milestones lie. Conscious that absolute customer satisfaction is the key to continued success, Brindisi & Yaroscak Custom Builders is dedicated to meeting and surpassing clients every expectation. For over 40 years, 18th century architecture has been our passion and preserving a traditional New England, our goal. Toward that end, we offer our services to you: restoration of period architecture as well as authentically detailed recreations of 17th, 18th & 19th century colonial architecture – homes, interiors, kitchens and cabinetry – for the discriminating homeowner. On our website you will find a sampling of our work. We invite you to browse and consider how these products and services can enhance your project. There is nothing like classical woodwork, crowns, wainscot, paneling, base and chairrail to enhance a room, but it has to be done tastefully, appropriately, proportionally balanced in scale and style – and that is our specialty. Whether you are planning a restoration or building a new home, adding or renovating a kitchen, need a corner cupboard, staircase or wainscot, or just need design and direction, we can help. About Us Since 1973, we’ve been steadily building a reputation; passionate about craftsmanship, demonstrates forthright communication, and delivers real-world results. We work very hard to exceed our clients’ highest expectations with our design build concepts. We are experts at crafting solutions to any project challenges. We maximize every dollar. The owner operator is always on-site. We believe that keeping open and direct communication with our clients is our number one priority, which allows us to deliver the perfect product. Our company strives from transparency and to keep our clients informed through every step of the project. Tiefenthaler prides itself in delivering the highest quality craftsmanship, superior customer experiences and lasting value to homeowners. Our mission with every project is to serve the needs and exceed the expectations of both the client and the architect or designer. At Tiefenthaler, we precisely interpret and build to your plans, in a timely and openly communicative dialogue. By managing every detail and staying intently focused on your timeline, we have a strong reputation for making the entire building process seamless and successful, while constantly keeping costs in check. The Fieber Group is a fully integrated Custom Home Builder offering complete Design and Construction Management services.